Thank you for teaching me how to spend my life creating. I am forever indebted to your influence. 93 years of stories. It’s an extensive time to accumulate things and gather memories that have enormous meaning to them. My grandmother, heading up five living generations, is a special woman who can be summed up in two words A CREATOR. You can tell a lot about an individual by the collection of items in their homes and my grandmother is no exception. 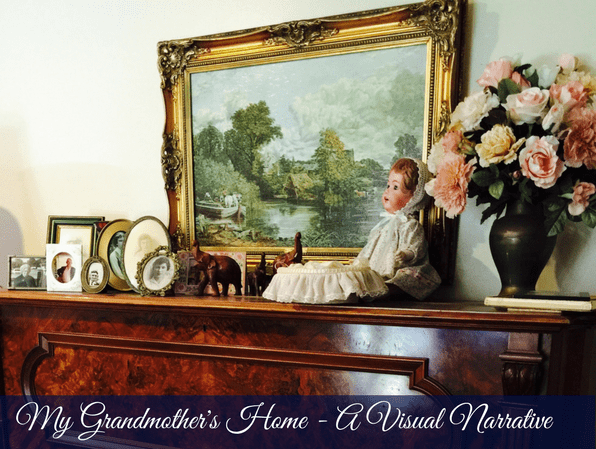 I am on a quest to collect pictures of the homes of the generations of women in my family, to give an insight into each woman and her journey. I have a desire to ensure that those items of significance give an insight into an incredible life and ensure that these unique stories are not lost forever. To have a room that you can call your own, a place to dabble in the things you like to do most is a dream for many women, but a workroom such as this is common in our family. We value the importance of kindling the spirit that lights the creative fire. My grandmother’s workroom is used first and foremost for doll making and other sewing pursuits in general. Sadly she is finding that the mind is able but the energy to work on her projects is waning. It is an inspiring space and one that tells so much about the woman she is. She makes the dolls using moulds, a skill she learnt over many years taking classes and learning from skilled artists in the fields. She would paint them delicately which required patience and I believe an intrinsic sense of beauty within the heart. The lifelike expressions and innocence in these dolls faces are extraordinary. As I ponder over her items, I find these delicate body parts used to make the tiniest, most beautiful little figures. The dolls with the body parts are colour tone perfect and so lifelike. There is painting to be done and clothing to be made, all with precise accuracy to fit the bodies of the wide variety of doll sizes. The dolls with the little body part assembled. The colour tones are so perfect and lifelike. The love of dolls goes back to her childhood when she would visit her aunt’s home and head into the back junk room to take a look around. There she spotted the most beautiful porcelain doll that she admired and wanted but in those days children dared ask for what they wanted. Consequently, she never got to own the doll but look what she went on to create. Handmade patterns and notes for the dolls clothes that she would sew or crochet. A collection of sewing items accumulated over many decades of mending and creating clothes and homewares. The detail of the pincushion is indicative of my grandmother’s style, one which was highly influenced by her sister in law Phoebe, who possessed an extraordinary touch when it came to intricated detailing on everyday items. Tools of the trade. The sewing box is organised with treasured items. Old papers with emotional value kept in little antique tins. There have always been recycled items in my grandmother’s home as she found so many items that would be useful for her creative pursuits. I guess living through two world wars and The Great Depression make you appreciate everything that crosses your path. “It is the family that gives us a deep sense of belonging. Family photos gathered upon the piano top hold a lot of memories and emotions. Jenny, my grandmother daughter sadly died in her teenage years. My mother described to me her pain at losing her sister and I can only imagine the deep anguish they all felt as a family. 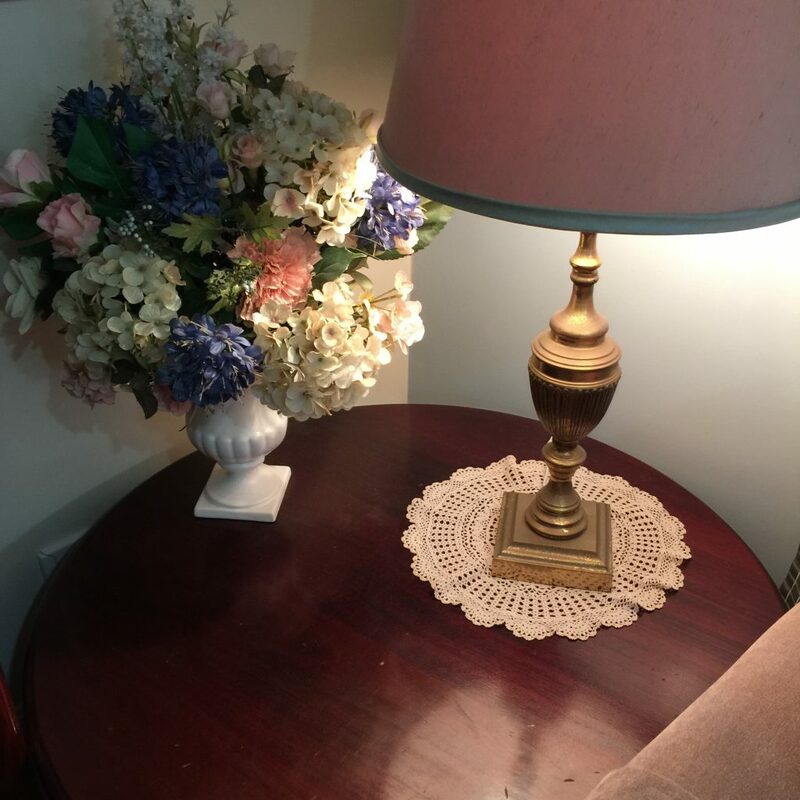 Flowers feature throughout my grandmother’s home as evidenced in the art, the bedspreads, the flower arrangements and painted plates. I tend to see the beauty in the imperfect with many of her prized art pieces showing signs of age. I talk about this a lot in my life, and I’m not sure where it comes from but this may be a clue. Over the years little black spots of mould are forming on the treasured artwork, however, I didn’t realise it until I look closely as I write this. In a way, I think it adds a special quality of authenticity because you know that is painting has had a journey with the owner. There is certainly a style that my grandmother loved and there is a commonality in these works. All are treasured pieces that have moved many times over her lifetime. I find a watercolour painting passed down through the generations of my grandfathers family, depicts the childhood home of my grandfathers, grandfather, Fred Badgery and painted by his wife Mary Badgery. Vine Lodge, Sutton Forest…birthpalce of Fred Badgery. These little paintings are an illustration of my grandmother’s style. She adores soft colours, flowing clothes and the beauty of the feminine. You will see these colours repeatedly throughout her home in both the artwork and the furnishings.At this point, it becomes obvious to me that my mother’s home has the same colour palette and whether she is aware of it or not, their styles are closely linked. The love of dolls goes back to her childhood when she would visit her aunt’s home and head into the back junk room to take a look around. There she spotted the most beautiful porcelain doll that she admired and wanted and no matter how much much she wanted it, children in those days didn’t dare ask for what they wanted. She never got the doll, nor did she ever forget it. Handmade patterns and notes for the doll dressing that she would sew or crochet. I can say with conviction that my grandmother’s faith was a life priority and her home shows the love and devotion that she holds for it. Scattered throughout are statues, paintings and artefacts that capture the love she has for her faith. You just don’t see that so much in homes in the modern world, so I find it enchanting and I respect her devotion. Tools of the trade. The sewing box organised with treasured items. 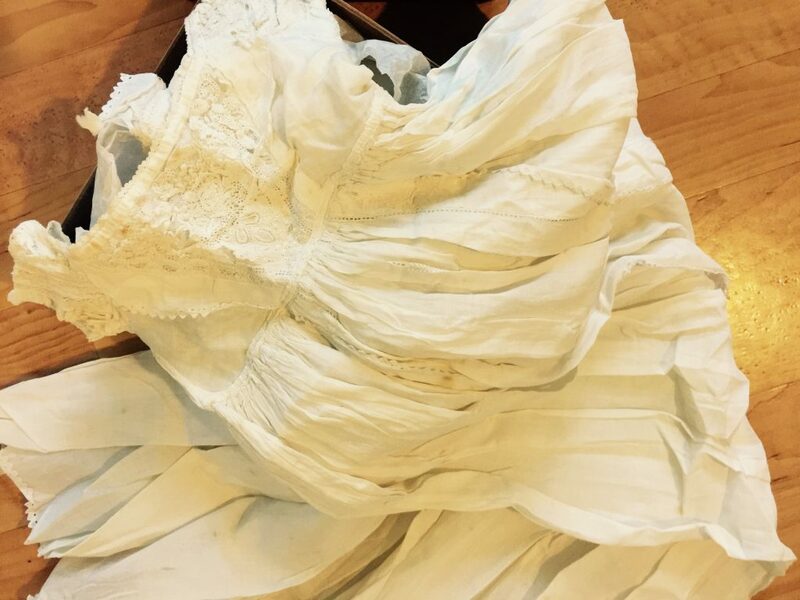 In this old cardboard box, I uncovered this antique gown and the note from my grandfather’s sister Phoebe who explained the gown’s history. According to her story, the family Christening gown has not been worn since 1907. What a special item to own. Silverware handed down from family and sitting in pride of place in the display cabinets in her home. 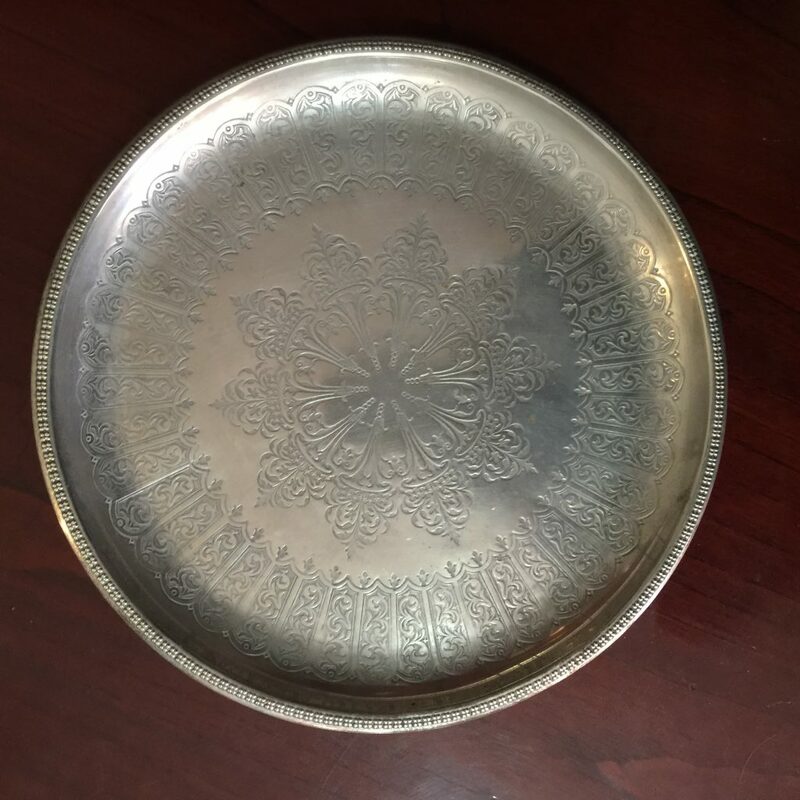 My mother has always been an enormous lover of old silver and she tends to it with love and care. Here are just some of the special pieces that she has collected. Old papers with emotional value kept in a little antique tin. 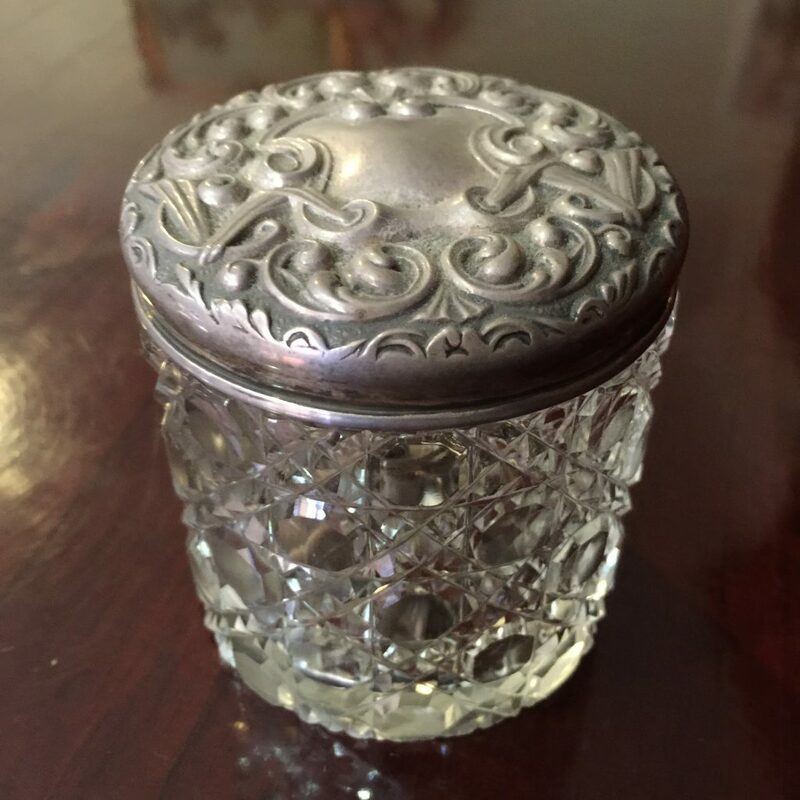 There have always been recycled items kept in my Grandmother’s home as she found so many items that would useful for a range of creative pursuits. I guess living through two World Wars and the Great Depression makes you appreciate everything that crosses your path. Passed down to her from her mother, this plate sits pride of place on the kitchen wall, a reminder of the past. Old notes, letters and clippings kept within an old box on the shelf. Family photos gathered upon the piano top hold a lot of memory and emotion. Jenny, my grandmother’s daughter(bottom right) sadly died in her teenage years. My mother described to me her pain at losing her sister and I can only imagine the deep anguish my grandparents felt to lose a child so young. My great grandparents, were special people and I remember them fondly. My grandfather lived until he was 96 years and in his dying moment he is thought to have muttered, “Now for the big secret”. 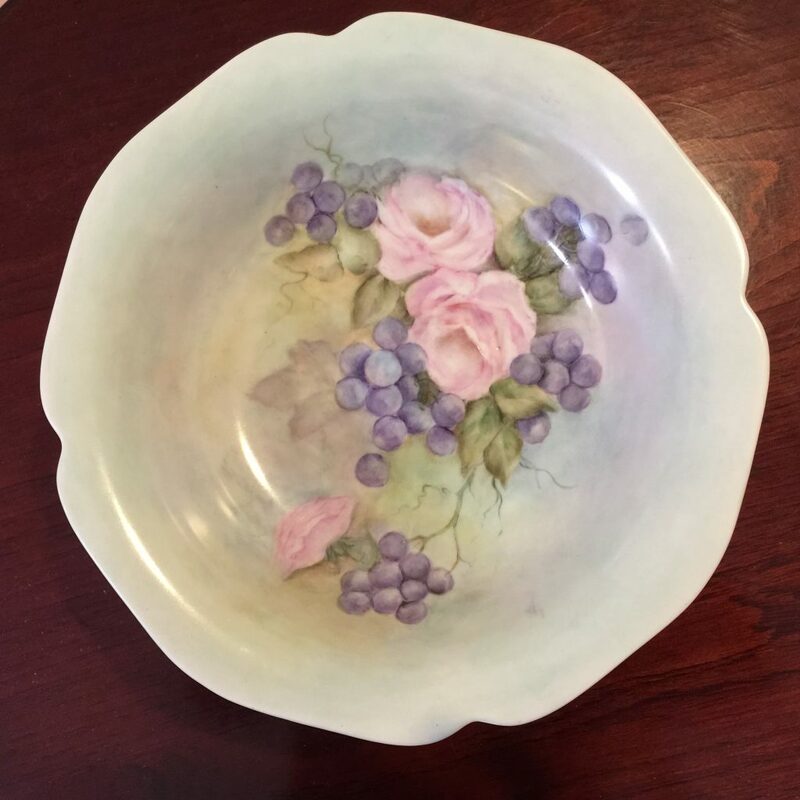 My grandmother learnt so much from her mother about the beauty and quality of things, having had worked for a wealthy family in her younger years as a housemaid required to handle the fine china, crystal and silverware. My grandmother has always loved cobalt blue and blue and white china. I asked her to explain what captured her interest in the colour. She told me the story of going into her Aunty Janie’s home as the child. In the front entry on either side of the main front door were large panes of cobalt blue glass and she distinctly remembers the light shining through the glass into the passage. She was enthralled by the beauty of it and it sparked her desire in later life to begin collecting it. 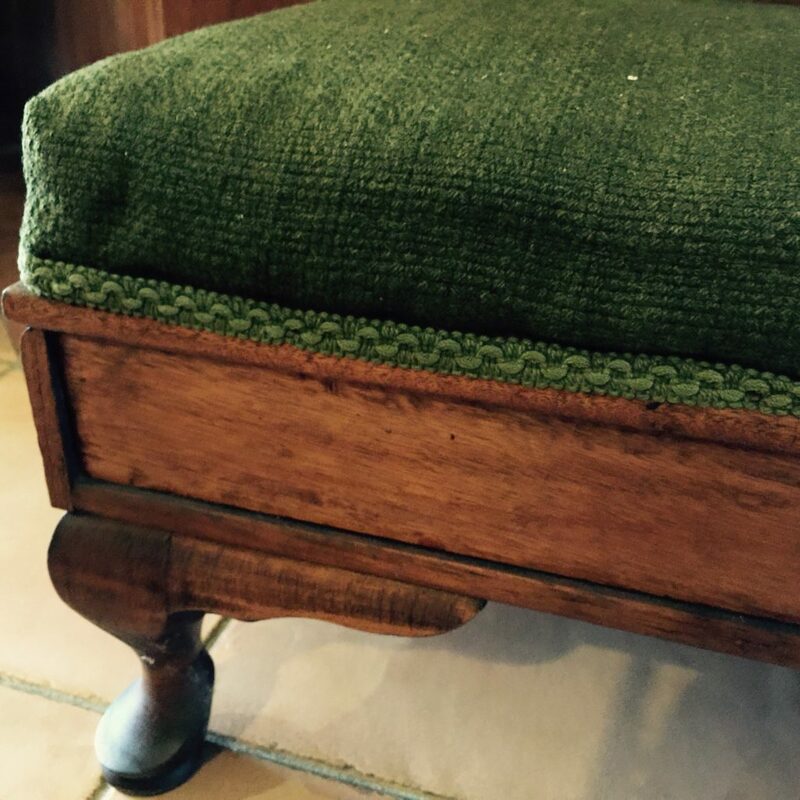 Owned originally by my grandfather’s sister, this gorgeous footstool would have been upholstered by my grandmother or her sister-in-law as they always did much of their own handiwork such as this. 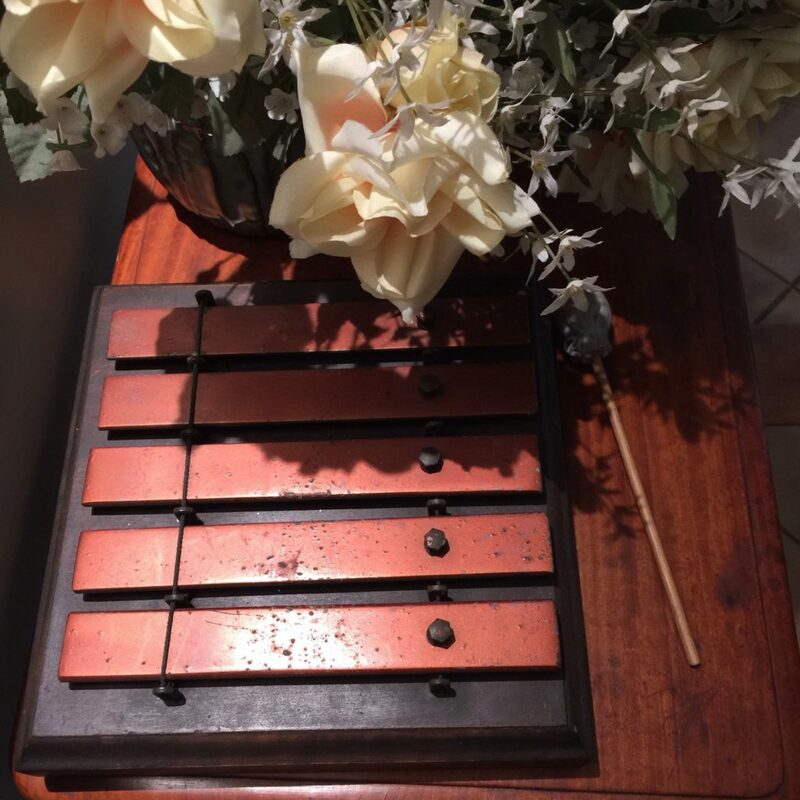 These chimes (above left) were passed down to my grandfather from his family. They were used as the dinner gong and as a child I remember them as a significant part of the household. Sadly there is nobody in the home for my grandmother to ring the dinner bell for these days, however, they remain in pride of place on this beautiful table to the right of the entry to her home. It’s important to have memories, to pass on meaningful items and to cherish and nurture our creativity. To those everywhere in their home making the world more beautiful, I thank you.